BCS Installations Inc. in Jackson, NJ offers Intercom System installation services for a variety of applications: apartments, hospitals, schools, government and businesses. BCS INSTALLATIONS Inc. offers Intercom System installation services for a variety of applications: apartments, hospitals, schools, government and businesses. No matter what your intercom needs, we can install your system around your requirements. We use only the best equipment in the industry. Intercom Systems control access to all types of entrances, interior offices, elevators, loading docks, parking garages and any prohibited areas outside, or within a building. Protect your staff by giving them the advantage to safely confirm the identity of visitors and vendors before granting access. 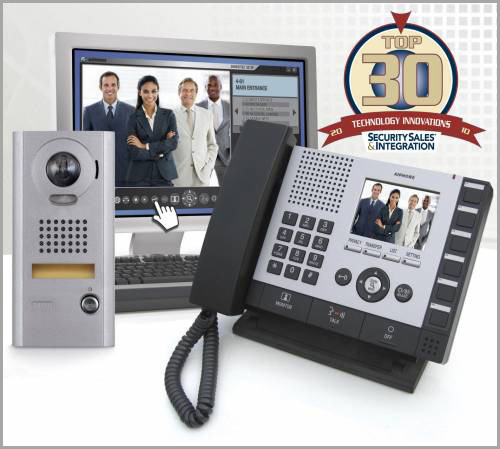 Using products that produce a crisp audio and clear, up-close video image, employees can hear and see who is calling. Once a guest is recognized, someone can either authorize or deny admission into any particular location of the building. When regulating entrances: consider a user-friendly system that offers the security and convenience of keyless entry with an embedded card reader. Call us today to schedule a FREE security analysis at 732-534-9776.